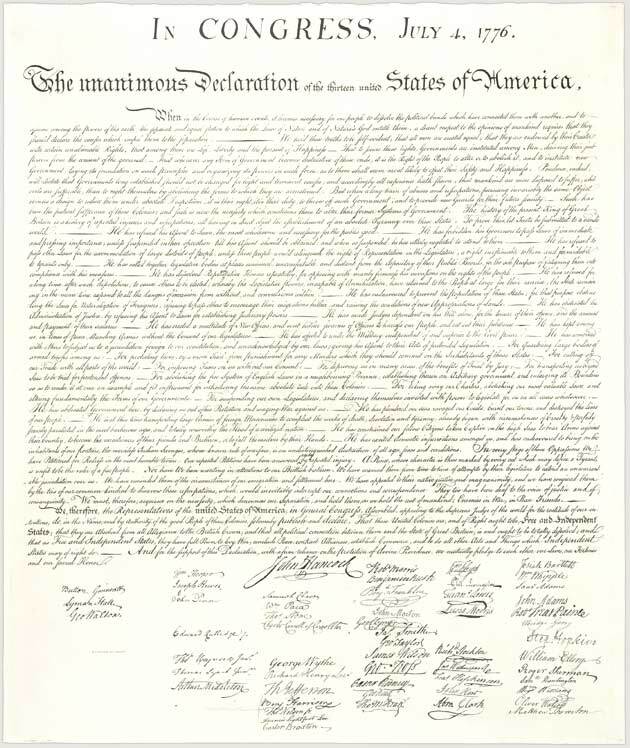 This holiday gives me a perfect opportunity to discuss the lovely handwriting behind The Declaration of Independence. Thomas Jefferson wrote the first draft. Corrections were made by Adams and Franklin and then the document was passed on to Timothy Matlack to engross. Timothy Matlack (1730-1829) was a delegate to The Continental Congress from Pennsylvania. He was a Quaker and a professional penman. The heading of this document is penned in fancy Gothic script, and the remainder is all copperplate. Copperplate was a plain and easy script alternative to the the elaborate scripts from Europe. It was also know as “roundhand” because it was structured on the shape of the letter O.